Royal Ascot is regarded as the highlight of the British racing calender. 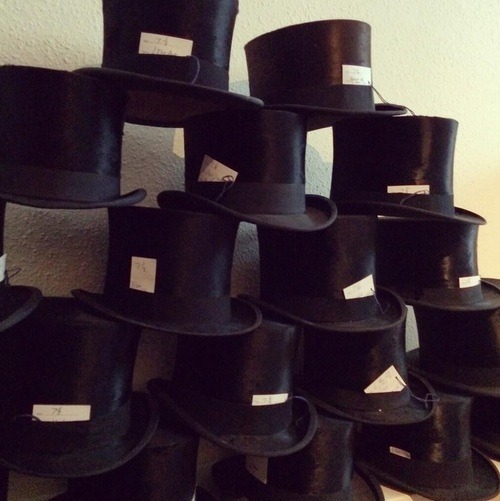 During the week of high octane racing, racegoers will visit Oliver Brown hiring over 700 top hats and 400 morning suits. Many gentleman will choose to invest in an antique silk top hat, for which Oliver Brown is the largest independent retailer in London, to wear inside the Royal Enclosure. These silk top hats are the height of elegance and beauty, made from a unique silk plush and long nap to give it the defined and beautifully polished look we recognise today. The vintage black silk top hat is the ultimate in top hats. As the looms that made this fabric are no longer in existence, general production has ceased meaning these can only be acquired as an antique purchase. To find out more visit Oliver Brown’s new website. Royal Ascot race meeting, 17th to 21st June 2014.